Containers With Racks allow you to create eye-catching set ups on counters as well as floor stands. Plastic bucket racks are an innovative style of retail display racks and showcase toys and other fun merchandise for children to window shop. Available in a variety of sizes to fit any need. Bring some style to your cafe, cafeteria, delis, restaurants and candy shops. With plastic containers included with these economical display racks, this is one of the best bargains you will find anywhere. 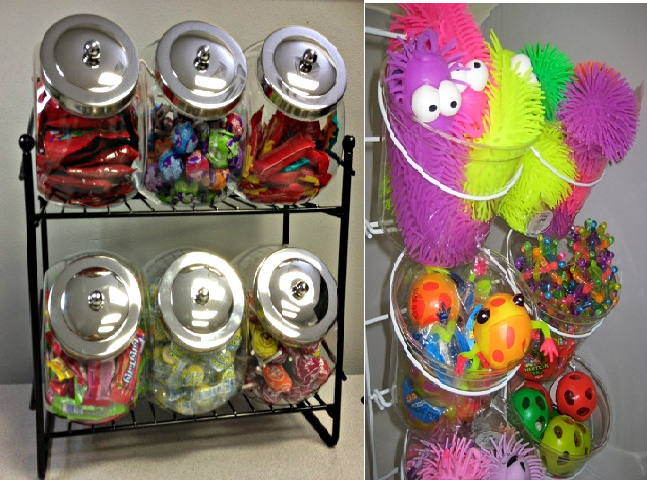 The frames of these bucket displays are sturdy and durable and the clear plastic containers are versatile and stylish. Whichever you choose, you will be getting a display option that you can utilize for years to come.